NO Upfront Costs. 15% Success Fee on the Back-End. If your Personal Credit meets the Credit Requirements below, then you can go on our Personal Funding Program. This Program is designed to get you Approved for Unsecured Personal Credit Cards and is a FULL SERVICE Program in the sense that we complete and manage all Credit Card Applications for you – All you need to do is provide any supporting Documentation Lenders may ask for, such as Utility Bill, Phone Bill, Bank Statement, etc. in a timely manner so your Applications can be Approved as quickly as possible. $25K to $100K in Total Unsecured Personal Credit Card Approvals is realistic to expect within 3 Weeks. Need more than $100K? Purchase a Credit-Ready Aged Corp and go on our Corporate Funding Programs as well (below). If you already have a Business that is over 2 Years Old, or if you purchase a 2+ Year Old Credit-Ready Aged Corp, then you can go on one of our 2 Corporate Funding Programs. NO Upfront Costs. 15% Success Fee on the Back-End. If your Personal Credit meets the Credit Requirements below, then you can go on our Unsecured Corporate Credit Cards Program. 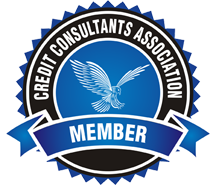 This Program is designed to get you Approved for Unsecured Corporate Credit Cards and is a FULL SERVICE Program in the sense that we complete and manage all Credit Card Applications for you – All you need to do is provide any supporting Documentation Lenders may ask for, such as Utility Bill, Phone Bill, Bank Statement, Articles of Incorporation, Business License, etc. in a timely manner so your Applications can be Approved as quickly as possible. $25K to $100K in Total Unsecured Corporate Credit Card Approvals is realistic to expect within 3 Weeks. Need more than $100K? Go on our Corporate Cash Credit Program as well (below). $1,500 Flat Fee. NO Back-End Fees. The Corporate Cash Credit Program is a Dedicated Coaching Program that will achieve an 80 Paydex Score and give you the Ins and Outs of all the Lenders and Creditors so you can get Approved for the Most Financing Possible, as Fast as Possible. We guarantee $60K in 6 Months without a Personal Guarantee or your Money Back. Want Stated Income Unsecured Business Loans, Lines of Credit, and Equipment/Vehicle Financing? If you meet the Credit Requirements, you can easily obtain $25K to $75K per Lender in Stated Income Business Loans, Lines of Credit, and Equipment/Vehicle Financing within the first few weeks in the Program. $150K to $250K in Total Bank Financing is realistic to expect if you meet the Credit Requirements and you combine it with a Credit-Ready Aged Corp that is over 2 Years Old. Need more than $250K? Buy multiple Credit-Ready Aged Corps and put each one under a separate Guarantor that meets our Credit Requirements. No Derogatory Items or at least none in the recent past. If your Credit History is not at least 3 Years Old, we can add Seasoned Tradelines to your Credit Report so you meet this Requirement, and if you have Recent and/or Unresolved Derogatory Items, we can show you how to create a brand new Credit File that you can use for obtaining Credit (Yes, it IS possible to legally create a new Credit File and it DOES work very reliably – believe it or not – It CAN be done). If you don’t have at least 3 Open Revolving Accounts, then we can add Seasoned Tradelines to your Credit Report so you meet this Requirement. If your Combined Unsecured Revolving Debt is more than 30% of your Combined Unsecured Revolving Credit Limit, then you need to either pay down the Unsecured Debt to under 30% or we can add Seasoned Tradelines to your Credit Report to dilute the Revolving Debt Ratio down to under 30%. If your Scores are under 700, then we can add Seasoned Tradelines to dramatically increase your Credit Scores and the overall Quality of your Personal Credit History in only 3 Weeks! It’s common to see Credit Scores jump up 50 to 150 Points in 3 Weeks – This is the Real Deal. If you have too many Inquiries, we can remove them from Equifax and Experian for you within 3 Business Days as long as they did not result in a new Personal Credit Account being opened. It is virtually impossible to remove Inquiries from TransUnion, but then again, few Lenders use TransUnion, so the Strategy works quite well.